As QROPS transfers gain attention in the financial news sheets, many of you may still be in the dark over what a QROPS actually is. To be eligible for a QROPS you must be aged between 18 to 75 and living outside of the UK, or at least have definite plans to leave in the immediate future. Anybody who is entitled to a UK pension and is planning to move out of the UK, or has moved already, is eligible to transfer into a QROPS. This means UK citizens who are becoming expatriates, expat retirees, and expats who have worked in the UK and are planning a return to their native country. Qualifying means that the pension transfer is fully approved by HMRC in accordance to their guidelines. Recognised means that the scheme is regulated and governed within the country it is based, in accordance to their specific tax legislations. 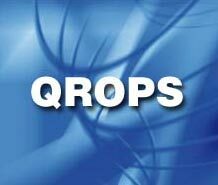 Overseas means the QROPS is based in an offshore jurisdiction away from the United Kingdom. Pension Scheme means that the scheme is designed to give financial benefits to the holder at the point where they either retire, become unable to work due to illness, die or simply reach a certain age. Transferring your pension pot into a QROPS can lead to a number of excellent benefits, including: tax savings, currency flexibility, no need to purchase an annuity, the ability to transfer the fund to named beneficiaries, improved investment options and more. If you fit the criteria and are interested in finding out more about transferring your own pension offshore, then speak to a recommended financial adviser for more information based on your unique financial circumstances.